The standard 20-ton B.R. 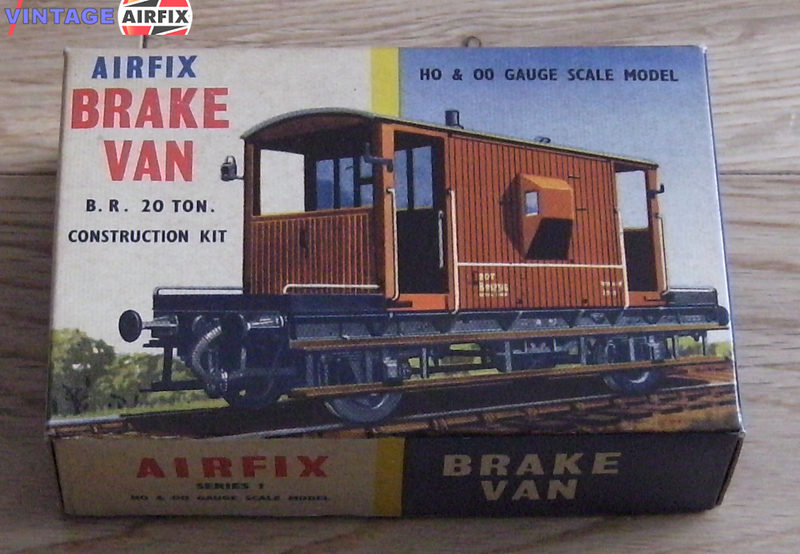 Brake Van is the subject of this Airfix Construction kit. Moulded in B.R. matt brown to reduce the amount of painting necessary, this 46-part kit contains choice of couplings, brake lamps, running boards, vacuum pipes, brake shoes and vacuum brake cylinder. The transfer sheet provides correct markings to finish off this essential piece of equipment.